Is your scheduling software turning clients off? When’s the last time you read through the message attached to your scheduling link? There are so many reasons to use a scheduling program and it can easily turn people off when not positioned properly. Two years ago I wrote an article called, Technology Isn’t Always The Answer. In it, I talk about how technology should be used to enhance the relationship with clients, not replace it. With scheduling software becoming more common place in our business interactions, this same sentiment applies. When you send a scheduling link to a prospective client the messaging should be for the prospects benefit not yours. Too many people position their scheduling software (unintentionally I hope) as is they’re too busy to make time to schedule an appointment with you. And frankly, the people that come off as “too busy” often come off as “self important” as well. This impression does nothing to build rapport with a prospect. Think about the impression you want to make when a prospect is booking an appointment. Do you want them to know you appreciate and value their time? Do you want them to easily book a time that works best in their schedule? Are you looking forward to connecting with them? For those that answered yes to the questions above, review your messaging and see if that’s how it reads to a prospect/client? More often than not, these messages are filled with “I” statements. My loyal readers and clients know that a bunch of “I” statements in any message turns people off. Another example of a statement that might turn people off is, “Please pick a time that is open in my schedule and I’ll be happy to meet with you.” That statement reads more about how it benefits the writer than the reader. Your sales tip this week is to review your scheduling software messaging. Be sure it considers the reader. Do all you can to set yourself up for success by offering it as a benefit to the prospect/client. Take out most of your “I” statements. When someone clicks on your link they should feel like it was written with them in mind. Awhile back two of my clients reached out separately after having a falling out. They met at a networking event and one client gave the other a buying signal. Instead of scheduling a time to meet right there on the spot, the person who received a buying signal went back to her office and shot off an email telling her prospect to schedule a time using her scheduling link. The prospect was offended by the message and called me stating how my other client came off as self important. She thought my client sounded like she was doing her a favor by “allowing her to schedule an appointment to become a client.” The offended person shot off a response letting her know how much she did not appreciate the message and was no longer interested in doing business. The person who sent the scheduling link to begin with called me beside herself confused as to what she’d done wrong. This woman is a sweet as can be with only the best of intentions. However, when we reviewed her messaging there were a lot of “I” statements. 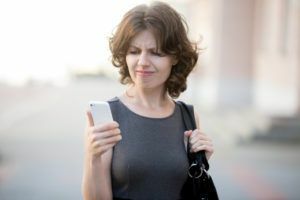 It could easily be misconstrued as if she felt it was a privilege to get time on her schedule instead of coming across as excited to possibly work with a new client. She ended up rewriting her whole message and rethinking how she offers up the link to schedule a time. Of course, the intent of having a scheduling service is to avoid all of the back and forth and to make it easy for both parties. Please keep in mind, the person you’re sending the link too is much more interested in how this impacts them and less interested in how easy it makes it for you. When you’re wanting to earn someone’s business the message (literally and figuratively) should be about the prospect/client.